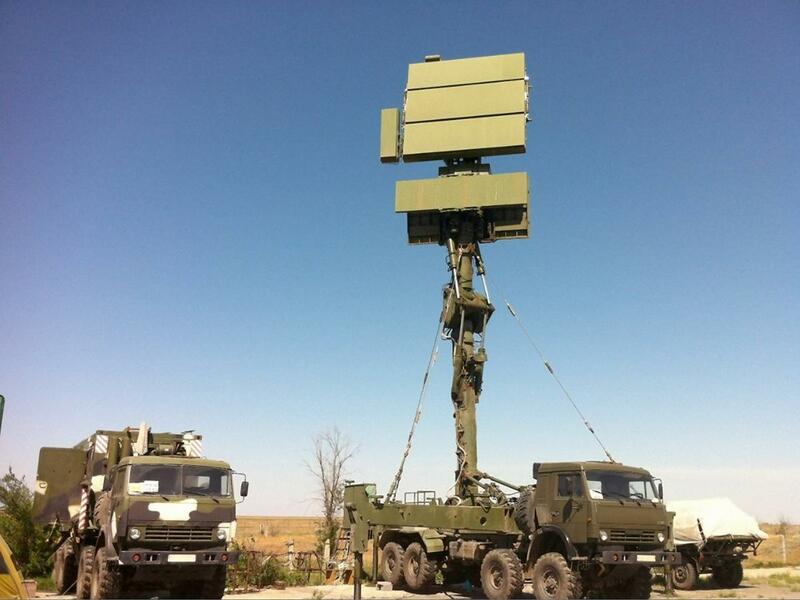 The Radar 48Ya6-K1 “Podlet K1” (kyrillic: 48Я6-К1 «Подлет-К1»; translated: “Approach”) is a mobile three-coordinate S-Band radar of low-altitude, circular scan of a combat mode and inter-service application. It uses a phased-array antenna (the upper big array) for detecting and tracking of low-altitude aims. The lower two back-to-back arrays are secondary radar, the thinner array for international standard (SIF Mark Ⅻ), the larger for the national Russian IFF. The narrow antenna next to the big array is a compensation antenna for protection against jamming.